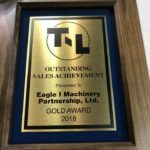 Eagle i machinery have received the gold award for sales for the third year in a row. Thank you to all the staff at Eagle i machinery for all their dedicated hard work and thank you to our loyal customers for supporting us. 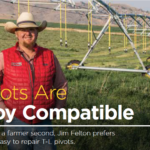 “A cowboy first and a farmer second, Jim Felton prefers low maintenance, easy to repair T-L pivots.” T-L Irrigation View, Fall 2018 Click here to download this article. 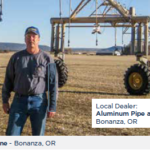 “A short growing season means Hank Cheyne pushes his irrigation systems hard and expects dependability” TL Irrigation View, Fall 2017 Click here to download this article. 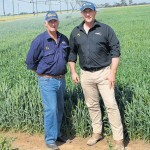 Country News, Victoria. 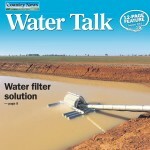 ‘Water Talk’. Aug 4, 2015 Click here to download this article.